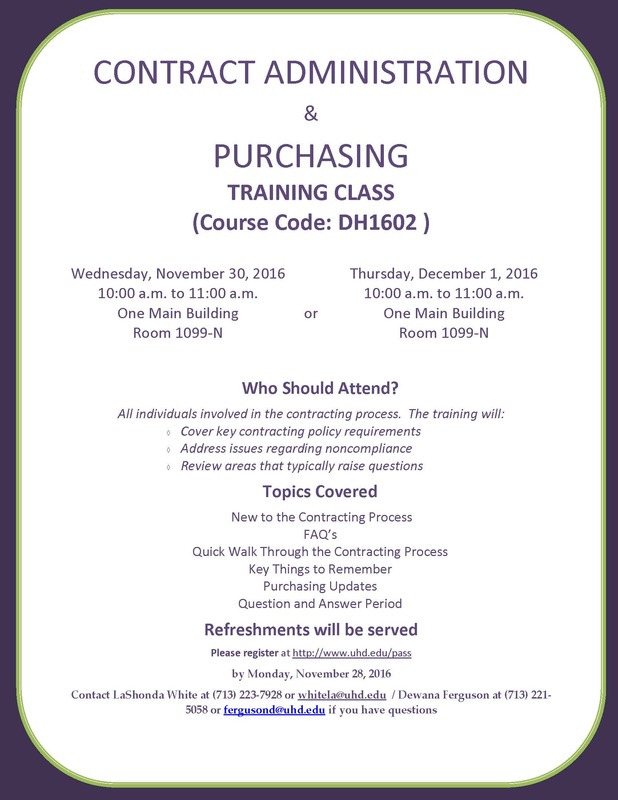 The University of Houston-Downtown (UHD) staff are invited to attend the Contract Administration and Purchasing Training Class from 10 to 11 a.m. on Wednesday, Nov. 30 or Thursday, Dec. 1 in the One Main Building, N1099. Anyone involved in the contracting process is encouraged to attend this free class. Please register at PASS by Monday, Nov. 28. Use code DH1602. For more information, please contact LaShonda White or Dewana Ferguson at 713-221-5058.